Both insured and uninsured hospital patients allege they are charged excessive health care costs because of hospital overcharging practices. From surgery costs, to administrative fees, to equipment charges, hospitals and clinics routinely overcharge their patients for services. Insured patients with big deductibles face rising insurance premiums and out-of-pocket expenses for hospital visits or routine hospital tests. Uninsured patients may be paying extra for their hospital expenses compared with what an insurance company is charged for the same procedure. Some uninsured patients are forced into collections to pay for bills that are reportedly inflated. Both Insured and uninsured patients may discover that they cannot be reimbursed for services rendered if their ailments turn out to be less serious than initially feared. Send your Hospital Excessive Billing claim to a lawyer who will review your claim at NO COST or obligation. As hospital billing practices become increasingly complicated, patients rarely know in advance what they’ll have to pay. Hospitals often charge a facility fee on top of a doctor's fee or a fee for services. Federal law allows hospitals to charge facility fees for outpatient services at affiliated clinics, but patients are being charged facility fees of up to hundreds of dollars out-of-pocket without warning and without the ability to dispute them. Sometimes the facility fee is higher than the cost of the physician’s services. 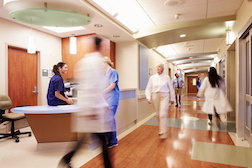 A physician releases a patient from ICU to a regular room, for example, but the patient is taken to a private room instead of a semi-private room. A patient should not be billed at a private room rate when a semi-private room is not available or not requested by the patient or physician. Ninety percent of bills have coding errors, which can mean you have been overbilled or didn’t deserve bill in the first place. Upcoding is often exposed through Hospital Overcharging lawsuits. The Center for Public Integrity claims such practices have cost the Medicare program more than $11 billion in fraudulent fees. Doctors in hospitals determine which code to enter into insurance forms for the care they provide, and the more complex the care, the bigger the bill. As a result, what doctors get paid increasingly reflects more on their “coding” skills than clinical ability. When a doctor, hospital or other provider accepts your health insurance plan, they’re in network. When you go to a doctor or provider who doesn’t take your plan, they’re out of network – and you can wind up with exorbitant overcharges. Your out-of-network hospital service could also be the radiologist who reads your X-ray, the anesthesiologist assigned to your operating room or the doctor assisting your in-network surgeon. Depending on your insurance policy, you may be required to pay the difference between what the insurer reimburses and what the provider charges in out-of-network situations. And charges are often arbitrary: what might cost one patient $200 could cost another $2,000 or more. Whenever possible, before you go to a hospital, it’s always a good idea to ask beforehand if they take your plan. Say a hospital doctor charges $250 for a service. Your Insurance plan’s approved amount is $190. So you “save” $60. On your claims and explanation of benefits statements, these savings are listed as a discount. Doctors or hospitals not in your health insurer’s network don’t accept that approved amount. You’ll be responsible for paying the difference between the provider’s full charge and your plan’s approved amount. Hospitals claim they need balanced billing to offset the cost of treating uninsured patients. However, some states have passed laws that bar out-of-network doctors from balance billing patients who receive care at an in-network facility. Insurance companies rarely pay the chargemaster fee for any medical service because they have negotiating clout. But that doesn’t apply to uninsured patients, who also have the right to know in advance when a hospital intends to charge $15 for an aspirin or $100 to turn on the overhead light in an operating room. Not all states have passed hospital fair pricing laws, so uninsured patients often get stuck with exorbitantly high bills. And when they can’t afford to pay, collectors are calling. Each year, third-party debt agencies rake in approximately $21 billion in past-due healthcare bills, keeping a significant proportion of the payments for themselves. Another common practice is billing for more intense treatment of a condition than was actually required or rendered. The two biggest hospital chains in California—Sutter Health and Dignity Health, were found in a 2016 study to charge 25 percent more than at other California hospitals. These giant health systems used their market power to drive up prices, resulting in the average patient admission at both chains nearly $4,000 more expensive, according to researchers at the University of Southern California. And the University of California, Berkeley examined the consolidation of the hospital, physician and health insurance markets in California from 2010 to 2016. The authors said 44 of California's 58 counties had "highly concentrated" hospital markets. For instance, obstetricians employed by Sutter Health are reimbursed approximately three times more for the same service than independent doctors, according to a KHN review of OB-GYN charges on several insurers' online cost estimators, making Northern California arguably the most expensive place in the country to have a baby. Patients without insurance who are treated in hospital could face bills that are inflated when compared with what insurance companies are charged for the same procedure. Uninsured patients in California, Texas, Florida, Arkansas, New York, and North Carolina could be paying 2-4 times the rate insured patients pay for the same treatment. People who are not able to pay their bills could find they are sent to collections agencies and have their credit ruined. Because many people are in medical distress when they visit emergency rooms, they may not have the capacity or the ability to understand or sign documents before medical care begins. Patients--whether insured or uninsured-- who believe they have been overcharged for treatment in a hospital should seek legal advice before attempting to fight the bill. One lawsuit was filed in 2015 by a patient who was charged $31,000 for a one-week stay in a hospital. The patient, Claire Amos, filed the lawsuit alleging she and other uninsured patients were billed at a rate that was "dramatically higher" than the rate charged to patients with Medicare and Medicaid. The lawsuit seeks class action status. Experienced attorneys have successfully fought hospital bills, and they can help you dispute excessive hospital overcharges. ER Bills and Hospital Overcharging: It’s Not .. I went to the hospital because a drunk friend of my neighbor pulled out of my driveway with passenger door open and i was standing in front of it and she knocked me straight backwards on to the cement. Later on I go to the hospital to check on my head. i told the nurse i basically got knocked down by a car in my driveway. I leave hospital, i had insurance when i went so i was covered by medicare, but they sent me a $5000 bill because i did not press charges on the girl i barely knew her, and i was more concern with having a concussion than filing a police report about a girl i barely knew from the bar. When i called st mary's about the bill she tells me because i did not report the incident that i would not be covered!!! How unfair, im injured, im the victim, and they charge me because i dont file a report. i could have told them i fell down the stairs if i wanted too, and would i need to file a report on that??? Just makes me think people would rather be lied to, or they got seriously unjust rules. I was charged $5,000 for a endoscopy yesterday that only took 45 minutes and then they almost killed me halfway thru the colonscopy and had to stop because my blood pressure dropped to 30 and i was almost dead. please contact me about a possible lawsuit. He said he couldnt finish the colonoscopy because he didnt know how to stablize my blood pressure? I am a senior on medicaid. w t h? My friend, a resident from Germany had jaw/sinus pain. She went to Scripps ER to get it checked. The doctor looked in her mouth... did not check her nose or ears... quickly prescribed an antibiotic and a decongestant. She received a bill for over $1,000. 00. The "itemized" bill said ER visit. Nothing else. No one offered a German translator. She tried to talk to billing. They either aren't available or are having "technical" problems. Absolutely ridiculous!